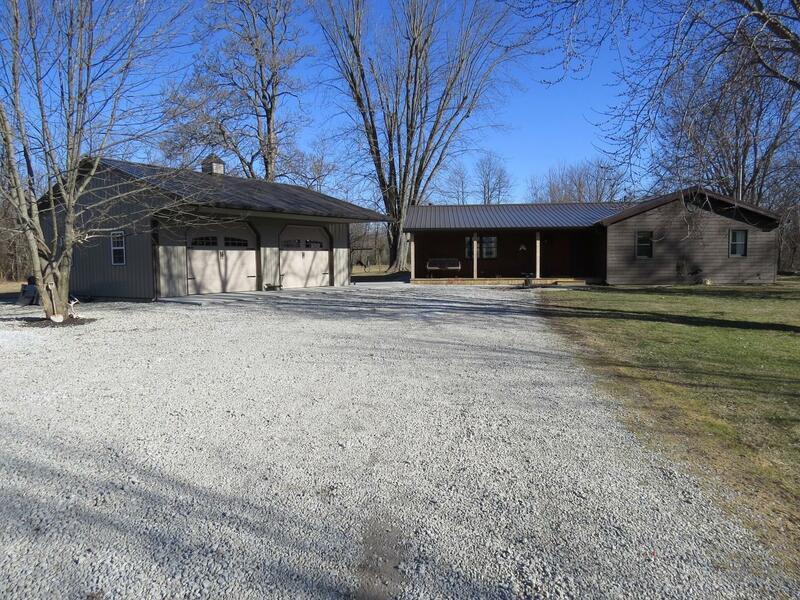 Spacious ranch with 2 great country porches. 3 bedrooms, 2 full baths w/ hardwood & carpet floors, large family rm w. Cathedral ceil-beamed, Master bedroom w/ Cath Ceil beamed w adj bath. Wood burning stove in the Family room. New 2 car detached garage. Country living at its best.